At Savio Soares Selections much is still linked to my childhood dining table in Brazil, for the selection process begins with the selecting of the producer. We work with small vignerons whose philosophy is a philosophy of life, not just a branded practice. They are family-run estates who respect the biodiversity of the land, many worked the same soils of their land for generations and either continued the traditions of natural methods or converted anew from the harmful practices of their predecessors. They are families with vibrantly healthy, often overgrown yet personally tended vines. They wish no harm to the life around them and promote harmony in their daily lives as well. Most of them work without pesticides or chemicals in the vineyards. 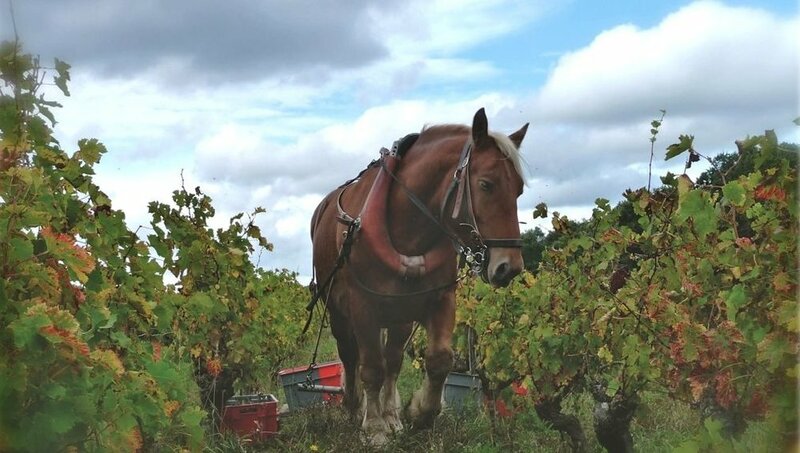 Whether fully certified or not, they tend to be organically minded, and in many effects practice a biodynamic existence, closer to the ancient ways of producing wines. The philosophy carries into the winery and cellar as well. A common checklist would read: NO additives, NO preserving agents, NO cultured yeasts, NO filtration and often even, NO sulfites used. Most of my growers allow nature to make the wine with little human intervention, producing a clear window to a true expression of their terroir; with climate, vintage, soil and the expression of the winemaker evident in each bottle. Each has their own intentions in the cellar, but our growers make wines they want to drink and, luckily, they are wines we love to drink! We seek the harmony these vignerons so easily find in their tucked away plots of earth. When I first moved to Germany I explored my surroundings and began to bring wines back home. I would drive to a small grower, share a meal and some good conversation. After taking enough wine home to confirm the pleasure they showed in the cellar (as you know visiting a winery can become too pleasurable too fast! ), I would return and be offered a name of another grower to try. I realized a common cord connecting many small producers who often gathered to share ideas and practices. One recommendation led to another until I had quite a fantastic collection of friends making wine. I thought, why not begin to bring them back to New York and show people the joy I was now living. I have not looked back since. I am still driving on recommendations or by chance, turning onto the road of new winemakers. I knew I was on a cusp of a modern appreciation of natural and biodynamic wines and found them because I love them and the people who make them. Our growers are, by nature then, small producers, often with limited bottlings to share. We try to bring the best that show each vintage. We support new cuvées or bottlings they are currently exploring and often have a chance to suggest new ideas with them. Many have never been seen in the US before and so are only noted in European press. We are excited as the wines are gaining popularity here and the stories of the labors of the growers are being spread. We ship only in cold containers via waterways and hold them until release in temperature-controlled warehousing. Due to the sensitive nature of our wines, we often hold them until they have adjusted to their new home and so are mature vintages that are ready for enjoyment. I still value the sense of professional service that is expected in the New York restaurant and wine world. Therefore, I have a wonderful team working with me, grown in the same restaurant and wine merchant atmosphere. They are my family here, echoing the desire to share addictively delicious and uniquely made wines, naturally. They are part of my Selections as well.